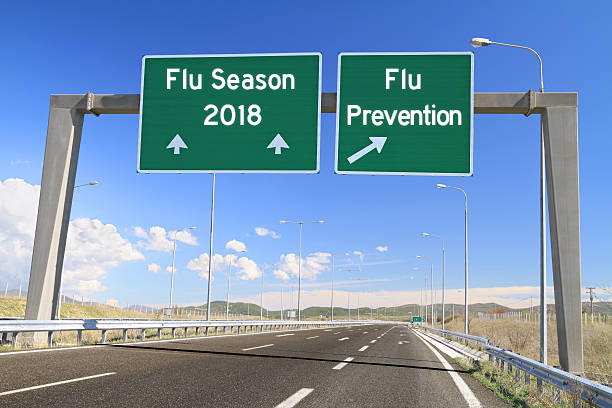 Flu Season 2018 at work — National Chemical Laboratories, Inc.
One of the major news stories nationally and internationally early on in 2018 has been the alarming numbers associated with the current flu season. While this is technically not a pandemic, it is still a serious situation with alarming statistics. Pandemics occur when a new strain occurs to which people have not experienced previous exposure. That is not the case in this 2017-2018 flu season, as we have seen the prevalent flu strains before, but that does not diminish the seriousness of this situation. All across the country, medical facilities are being overwhelmed with flu cases. 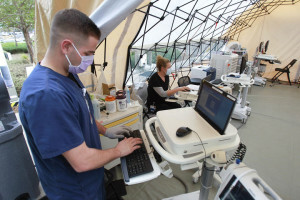 In places such as California, Pennsylvania, and Texas, hospitals have needed to set up temporary triage and treatment tents at medical facilities to handle the overflow of patients and alleviate overcrowding in the pre-existing structures. There is more than just one strain of the flu virus. There are numerous sub types of flu strains. Medical professionals state there are currently 18 Hemagglutinin and 11 Neuraminidase strains in the Type A category. Type B consists of the Victoria and Yamagata strains. Type C strains are typically mild respiratory illnesses and Type D typically refers to flu viruses in cattle. In recent years, the H1N1 strain has been most prevalent in the United States and flu vaccines have targeted it the most. The H1N1 strain was responsible for the Swine Flu outbreak of 2009. There had been little exposure to the H3N2 strain among Americans until this season. This is a strain that was common in recent years in Great Britain and Australia. When the same flu strain strikes repeatedly, people and their regions tend to build up their immunity. The almost daily media coverage of this flu season is typically accompanied by the standard follow-up stories on what individuals can do to diminish their chances of contracting the flu. Those news packages contain very useful information that we all must follow. However, what the news media does not often report is what can maintenance personnel do to decrease the likelihood of their facility becoming a breeding ground for the virus. Individual advice is usually concluded with the advice that if you feel sick, to stay home. That is valuable advice to prevent people from transporting the virus into a facility, but in our industry we need to look at what we can do on a large scale to make our facilities as clean and healthy as possible for those who enter. Those in charge of maintenance sanitation have the same personal responsibility for their facilities as we all do in regards to our own personal protection against contracting the flu. However, facility maintenance personnel have the added responsibility of ensuring that their facility is doing everything possible to prevent their facility from becoming a flu virus breeding ground, impacting everyone – staff and visitors alike. The health and well-being of everyone in a facility is always paramount. However, there is an economic component at work here as well. Facilities which do not take the necessary sanitary precautions to guard against a flu outbreak in their facility run the risk of their company or organization losing key personnel for undetermined amounts of time while they recover and (hopefully) regain their health. Lost productivity is likely to far surpass any savings a facility would gain by cutting corners on sanitation. Fortunately, the Centers for Disease Control (CDC), when referring to flu prevention in schools, holds the stance that going above and beyond standard maintenance procedures is not necessary. The CDC has said that schools do need to clean and disinfect to slow down the spread of the flu during flu season. 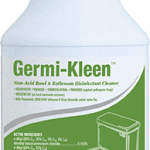 Cleaning removes dirt and germs while disinfecting kills germs. According to the agency, no special procedures are required to accomplish that goal. The same could be said for cleaning and maintaining many professional facilities in addition to schools. The steps and suggestions to prevent the flu from spreading through a facility are steps and suggestions that should be followed year round for effective cleaning and sanitation. Below are ten steps that can help ensure a facility is doing what needs to be done to prevent the spreading of the flu virus. Hopefully this is a refresher and these are steps your facility is currently practicing as a part of their maintenance procedures. 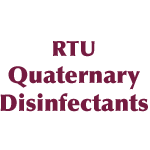 Verify that the disinfectants being used in the facility have been tested to be effective against the stains of flu that are most prevalent this season. 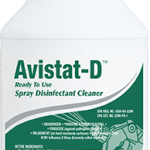 Not all disinfectants are alike and individual products will most likely differ in terms of what bacteria, viruses, germs, etc. that they have been tested to be effective against. In the event that the disinfectants do not have proven efficacy against the prevalent flu strains, efforts must be made by the facility purchasing department to acquire disinfectants that are effective. 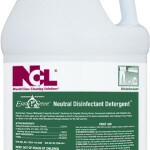 NCL disinfectants’ efficacy data sheets are available for downloading and printing from each product’s designated product page on nclonline.com. Proceed to the Documents tab to access the PDF file for a complete listing of kill claims or go to the Efficacy tab for a quick reference on prominent claims. 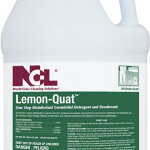 Follow disinfectant label instructions precisely as they are written. 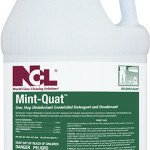 Maintenance personnel need to follow instructions on the product label each and every time they are using the product. That is why the directions are printed on the original product label and also on the secondary bottle labels. If your facility does not have proper secondary bottle labeling, please correct this immediately. 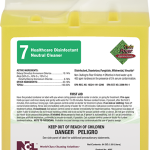 Dilute concentrated disinfectant cleaners exactly as written in the instructions. 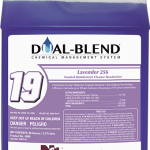 Facilities that use automatic dispensing units, such as NCL’s Dual Blend chemical management system, have the reassurance that their solution is diluted perfectly each and every time, for maximum effectiveness. Also personnel must follow instructions on proper dwell times on hard surfaces. Most disinfectants require a minimum of ten minutes of dwell time. Viruses and bacteria can survive on these surfaces for up to 18 hours (according to the Journal of Medical Virology), and any procedure other than what is directed on the label may lead to insufficient effectiveness. 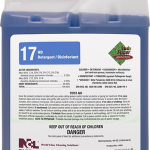 Disinfect high touch surfaces. This should be part of the usual maintenance procedures, but the importance of this step increases during flu seasons, such as this. 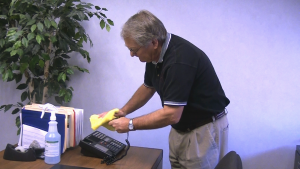 Staff members are trained on how to properly disinfect surfaces. Throughout the facility, the high touch areas which should be targeted for disinfection include: door knobs/handles, phones, computer keyboards, desks, chairs, tables, light switches, break-room appliance controls and handles. Clean AND disinfect the floors. Every square inch of flooring can harbor up to two million bacteria. All personnel should already be following proper floor maintenance procedures. 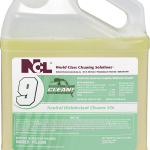 During these times of heightened flu prevention, facilities need to consider periodically wet mopping the floors with a neutral disinfectant cleaner. The neutral pH of the product will not harm a floor’s finish. Personnel must also be sure to use clean mops and mop buckets to prevent the potential of spreading contaminants throughout the facility. Most importantly keep soap dispensers full. Experts are in agreement that the easiest and most effective action to take to guard against the flu is to regularly wash your hands. That is a tough task when the soap dispensers are empty. Also make sure there are plenty of paper towels in the event the facility does not use automatic hand dryers.According to new national research conducted by Bradley Corporation, over 1000 people were surveryed and almost 60 percent are “extremely” or “quite” concerned about contracting a new or particularly resilient strain of the flu. In addition, 65 percent of Americans say they wash their hands more frequently or more thoroughly to avoid getting germs or passing them on to others. Which sink is more likely to inspire frequent hand washing? In addition to keeping the restrooms well stocked, also make sure they are clean and sanitary. People will be less likely to wash their hands if they see a dirty sink area. Clean the sink and counter areas with a disinfectant cleaner and periodically use a crème cleanser to brighten and polish the sink and fixtures. A clean, glimmering, inviting sink area increases the likelihood of hand washing. Also make sure loose paper towels and litter items are in the trash receptacles, not on the floor, countertops, or other surfaces. 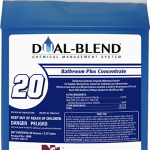 Clean and disinfect ALL restroom surfaces. 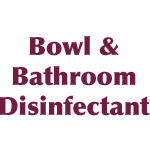 In addition to the sink and counter areas, be sure to clean and disinfect the floors, door handles/knobs/push plates, partitions, stall doors, trash receptacles, toilets, urinals, and fixtures. 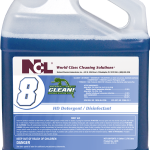 Also look for a disinfectant bowl cleaner to clean and disinfect inside the toilet bowls and urinals. 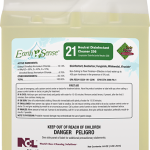 As with other disinfectants, when selecting a disinfectant bowl cleaner, check the Efficacy Data Sheets and look to see which strands of the flu the product has been tested to be effective against. 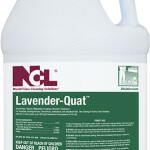 Provide ample opportunities to sanitize hands. While regular hand washing is urged more than most other flu prevention measures, experts all agree that using hand sanitizer when hand washing is not an immediate option is a very good alternative and further layer of protection against acquiring the flu virus. As with soap dispensers in the restrooms, be proactive in keeping these dispensers full. Also be sure to place hand sanitizer dispensers in the highest traffic areas to promote widespread usage. Be proactive in cleaning break room areas. 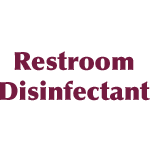 Break-rooms and lunch rooms are among the top locations in facilities, along with restrooms, to contract a virus. 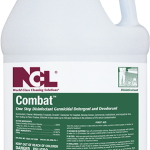 Hard surfaces should be disinfected throughout the day. Sink areas need to be well maintained and clean , along with being stocked with an ample supply of hand cleaner, dish detergent, and paper towels. To enable break-rooms to maintain their flow during the busy middle of day periods, use a sanitizer on table and counter tops since they typically have shorter time length requirements to dwell on surface to be effective. Despite reports about some flu shots not being effective versus the H3N2 flu strain, medical professionals agree that the flu shot is not perfect, but it’s your best defense. It’s never too late to get a shot. Even after season ends, one can still acquire the flu. Follow the individual talking points regarding personal protection against getting infected by the flu. Most notably cleaning staff personnel should heed the warning repeated numerous times this flu season, stay home when sick. A cleaning staff employee with the flu virus will do more harm than good if he or she attempts to perform maintenance procedures while simultaneously spreading the virus. Below you will find links to the multiple NCL Disinfectants which have been tested to be effective against the dominant flu strain of this season, the H3N2 strain. For complete and thorough maintenance procedures to be practiced routinely and periodically, please refer to NCL University Online under the Training tab on our homepage. There, you will free video training courses covering a wide spectrum of facility maintenance disciplines, including general maintenance. 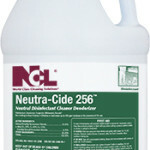 When to disinfect? 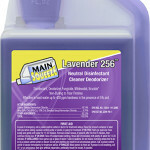 When to sanitize?